A cute way to get your pint in the morning. 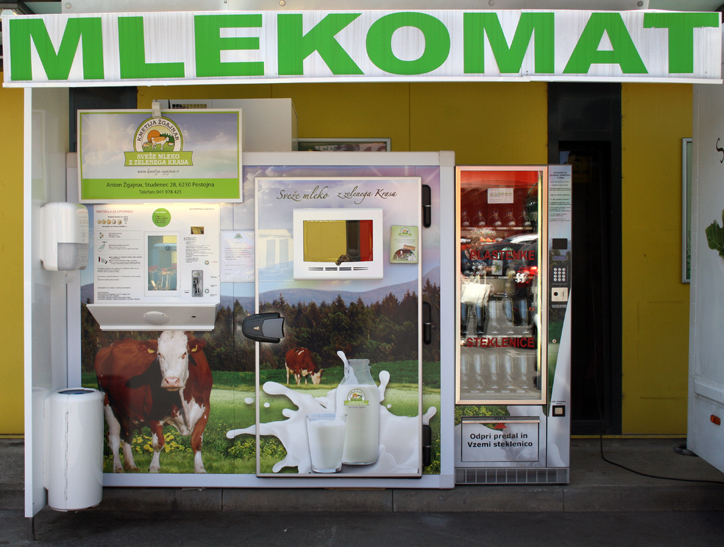 From what I can gather this milk dispenser outside Tus supermarket in Slovenia churns out fresh milk for 1 Euro per litre – there’s also information on the time and date it was milked. This entry was posted in Food and Drink, Health, Innovation, Lifestyle, Retail, Strategy and tagged Beverage Trends, Milk Dispensing, Retail Innovation. Bookmark the permalink.